As part of the effort to help students train for careers after graduating, South Albany High School has a lunch and learn program that introduces students to business owners who share expertise and tips for pursuing skilled work. The following story is by Stutzman Services, Inc., which sent representatives to SAHS on Tuesday. 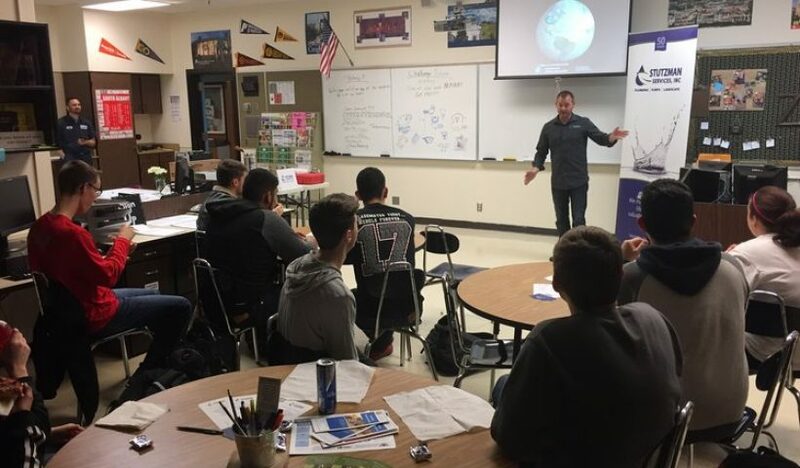 Fifteen students gathered in a classroom to eat pizza and learn more about career opportunities in the skilled trades, which are in high-demand according to Stutzman Services Communications Director Chris Nafziger. “We believe that water is life’s most valuable resource, and today we are going to talk about two careers that are crucial to managing water, and also in high-demand,” he said. The presentation focused on two careers: Well Water Systems Technician and Journeyman Plumber. Water Systems Manager Dale Aerni spoke about his career path and encouraged students to discover what they like to do and are good at doing. For him, it was managing groundwater by installing and servicing submersible pumps and water treatment systems, work that eventually led him to become a co-owner of the company. Stutzman said that Journeyman Plumbers are in very short supply across the nation, and that is resulting in increased wages. In Oregon, students in a plumbing apprenticeship are also required to work full time, which means they can move into a high-paying career without college debt. Stutzman also encouraged the female students in attendance to pursue career paths in the skilled trades, including plumbing. Afterwards, students had the chance to see a submersible well pump and control system close-up, and use a power tool to assemble some pipe and fittings. 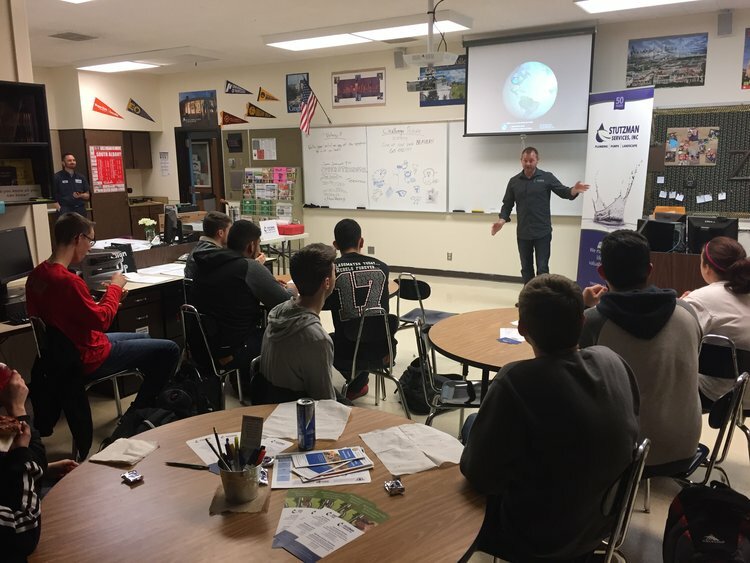 “The students loved the presentation and the speakers did an excellent job engaging the group,” said Rose Zoellner, Business to School Liaison at South Albany High School.